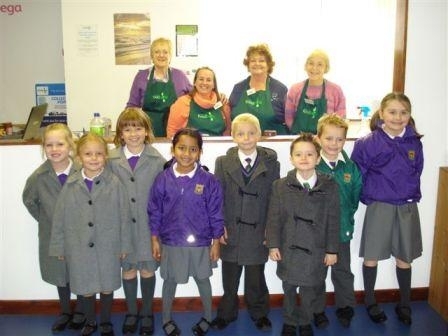 The Infant School Council visited the Food Bank in Blackburn to see how their harvest collections were being put to good use. They were greeted by a team of volunteers who welcomed the children into their café. Over a drink and a biscuit, the children were guided through the Food Bank experience including a tour of the pantry. The school councillors learnt about how the volunteers allocate the three day food supply to families with different needs. They discussed how a tin opener is as important as a tin of beans itself! The councillors thought about how important the warm, welcoming atmosphere was for families to relax in whilst their parcels were being assembled. We look forward to supporting the valuable charity once again in the near future. Geography students march on Malham!